The "vaccine debate" about whether vaccines are safe or could be causing autism has been in the news a lot in the last few years. There is no real debate about vaccines from either side of the issue though. People who are against vaccines, including parents who believe that vaccines have harmed their children, aren't likely to listen to health experts who talk about how important vaccines are, how many lives they have saved, and how the benefits of vaccines far outweigh the possible risks of vaccines, especially those that are unproven. On the other extreme of the debate are health professionals who are just as unlikely to be moved by research and reports that they think are poorly done, talk of conspiracy theories, that too many vaccines overwhelm a child's immune system, or that we don't need some vaccines. For most pediatricians, the vaccine debate doesn't revolve around trying to change the minds of anti-vaccine proponents. Instead, they work to help parents make an informed decision about vaccinating their children. Unfortunately, some parents are left caught in the middle, as they wonder whether or not vaccines are safe for their kids. 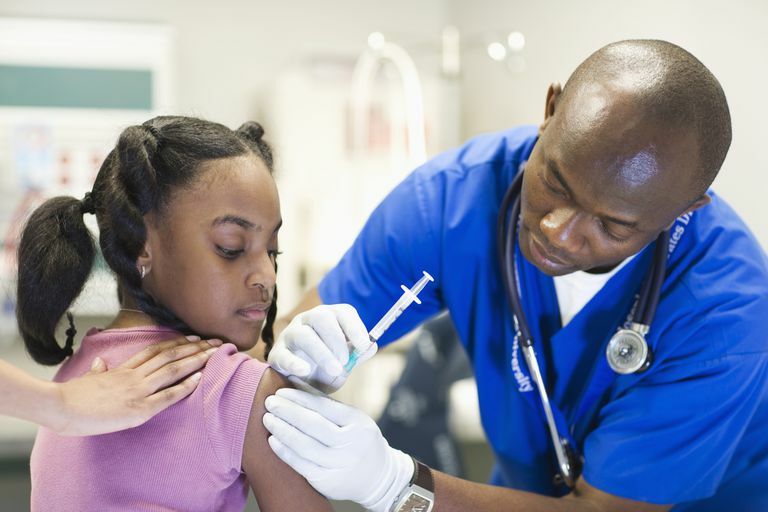 Even though most parents vaccinate their kids in the United States and the consensus view of health professionals are that vaccines are safe, parents frequently see news reports that strongly question vaccine safety. One common issue for parents who aren't sure about vaccinating their children is that they simply don't want to do the wrong thing. They may have heard about the possible links between vaccines and autism, or are still worried about thimerosal, or have other safety concerns, and don't want to give their children something that may not be safe. It isn't that simple, though, as not vaccinating a child can have its own consequences. In refusing or putting off vaccinating their child, a parent can do the wrong thing if their child gets sick with a vaccine-preventable illness and/or passes that illness on to someone else. Fortunately, that doesn't happen too often right now, but that is only because of the concept of herd immunity, in which if most people around you are immune to an infection and can't get sick, then there is no one around to infect your child, even if they haven't been vaccinated. So these parents are basically relying on the parents around them who do vaccinate their children to protect their own children. Vaccine rates have to be high for herd immunity to work, though, and if more parents refuse or put off vaccines, an unvaccinated child has a greater risk of getting a vaccine-preventable illness, such as measles, whooping cough, or mumps. It is good to take time to make a good decision about vaccinating their child, but parents shouldn't hesitate too long. Instead, look for information about vaccines to help them make an educated and informed decision that is not influenced by fear or propaganda. And their final decision should keep in mind the comments of Renée R. Jenkins, MD, President of the American Academy of Pediatrics — "the fact that we don't see certain diseases anymore doesn't mean they no longer exist... it simply means the vaccines are working. They will continue to work, however, only as long as we continue to immunize our children." Centers for Disease Control and Prevention - For Parents: Why Immunize?